Finding the right person for an open position can be really hard, and it can be very tempting to rush through the process or take short-cuts when possible. But, making the wrong hire can cost your company up to five times their annual salary – and once you finally get rid of them, you’ll find yourself back at square-one, sweating over your hiring process again. If you don’t have time now to do it right, when will you have time to do it over again? Save yourself the headache and do it right the first time! Make a list of the specific talents, skills, and experiences that a person would need to be successful in this position. Make it like you would a shopping list for the grocery store – not like a pie-in-the-sky “wish list;” write down the must-have items that are non-negotiable so you have specific minimum requirements to compare your candidates against. Focus too much on the resume. A recent survey from The Society of Human Resource Managers reported that 53% of the resumes they reviewed contained untruths and misleading statements. While a resume should give you a feel for whether or not someone might be worth talking to, that’s where its value likely ends. Consider the resume as one of many resources you have available during your selection process. It’s a good initial filter to help you sort through many candidates by looking at their past experiences. After this initial step, you will want to look them up on social media, closely check their references, and begin looking past experience to talent. You can do that by conducting a phone screener that will help you to begin uncovering their likely talents and meeting with them face-to-face to ask a strong list of effective interview questions that will help you to better understand them. Talk too much. Spend too much time during the interview trying to sell the candidate on working for your company, or talking about your own experiences, instead of listening and doing the detective work you need to do to uncover potential talents and understand their likely fit for the position. Ask open-ended questions that allow you to learn about your candidate’s patterns of behavior. Once you have a good understanding of the thoughts, feelings, and behaviors that have been consistent for them in the past, you will have a much better idea of the thoughts, feelings and behaviors you can expect in the future. People are “wired” at a very early age and how they behave rarely changes over time. Become blinded by “glare.” If you make a strong initial connection with a candidate, it’s hard to look at their strengths and weaknesses in an impartial way. When your personalities just “click,” you like the way they dress, you share the same hobby, or find you attended the same university – it can be nearly impossible to be completely unbiased. Use a scientific talent instrument to identify the true innate talents of your candidate so that your “glare” won’t get in the way of a good selection decision. Make sure to use a validated assessment that allows you to compare their talents and behaviors with those of top performers in the industry so you know how they will likely measure up. Crash into an iceberg. 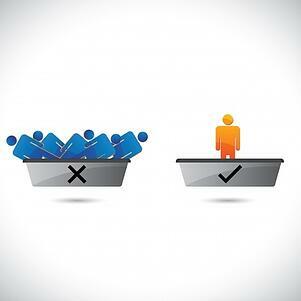 Without a strong recruitment and selection process – we tend to hire what we see above the surface (very little) and end up firing for what we later find below the surface (a whole lot more). Lose sleep before you hire, not after. There is very little to enjoy when filling an open position; it is a lot of work to do it right and it can feel nearly impossible if you are also trying to cover the job responsibilities of that open position at the same time. But you’ll thank yourself later for investing the time to ensure that the new hire’s talent and fit are a good match to your specific needs. 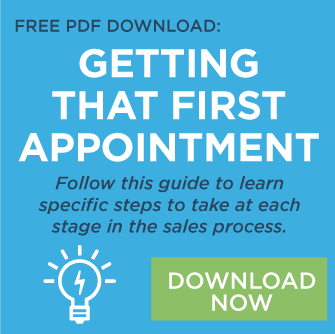 Need some help with the right questions to ask when interviewing your sales candidates? Download these questions today!